HTC One is one of the best rated smartphones and its reputation is well deserved. 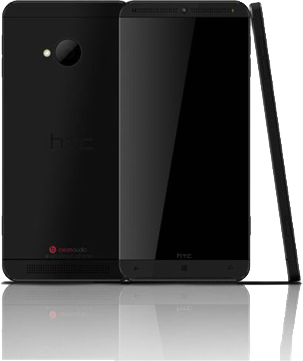 The new HTC One M8 model is planned for spring and has had some modifications prior to sale, it brings several new features that we listed below. Qualcomm Snapdragon 805 2.3GHz quad core. Snapdragon is the platform for smartphones, tablet and smartbook devices created by mobile technology company Qualcomm. 2.3GHz amount to a very high wave amplitude, while the four cores (or quad-core) processors are reflected in the ability of processes that can perform in a given time. It means that it makes four times more processes than a single-core processor, this is called MIPS (Million Instructions Per Second). 805 processor 805 is a breakthrough, although there are eight-core processors right now. It’s a phone with an average screen, like most of its rivals and a high definition resolution. Gorilla Glass is a thin transparent sheet of high strength made ​​from a combination alkali-aluminosilicate and used as a cover highly resistant to fractures and scratches on handheld devices with touch screen. 16/32/64 GB, expandable up to 128 GB with MicroSD card. Storage memory is what is called PC hard drive. 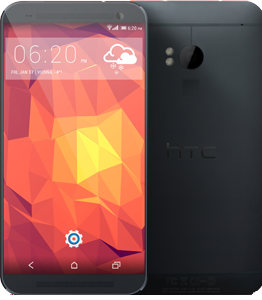 In this case the 16/32/64 GB memory storage capacity eligible to expand up to 128 GB by adding a microSD card, so in this sense the HTC One M8 is superior to other current smartphones. In RAM are loaded all the instructions that processor executes, so the more GB you have the better. In this case RAM HTC One M8 is about average, so it’s not too powerful. It features 16.1 megapixel rear camera, a 2.1 megapixel front camera and an UltraPixel camera with 6 or 8 megapixel and dual lens option. HTC hasn’t placed special emphasis on improving the camera of its new model, offering less megapixels than most of the other smartphones currently available, but its 16 megapixels and especially its UltraPixel with LED flash are a breakthrough over other brands not exceeding 20 megapixels and with worse picture quality. 4G LTE, Wi-Fi, DLNA, GPS/AGPS + GLONASS, NFC and place for a micro-SIM card. These are all the types of connections it supports. 4G indicates that this mobile uses a system and a fourth-generation network, converging wired and wireless networks, including Wi-Fi. In addition to these features, new HTC One M8 has a 146×70.5×9.45 size; it’s a bit heavier than competing models (157g); it has a non-removable 2600mAh battery (a fair bit with power management); no FM radio (although you can use headphones) and features the new and improved Google OS version Android KitKat 4.4.2 with HTC Sense 6 (Interface Customization HTC) and have the following color ranges: red, gold, black and silver.. In short, the new HTC One M8 remains being the flagship of the company for its overall high level, which despite its biggest gain in this model is the high storage capacity available and the ultimate demise of the physical buttons. There are two methods to do this, but before doing it you have to put USB Debugging mode enabled (Settings -> Development options) and all the phone drivers properly installed on the PC. Option 1: Download and run Squabbi’s HTC One M8 Toolkit. Press yellow button (‘Root’). Option 2: Download and run Hassoon2000’s HTC One M8 All-in-One Toolkit. Select ‘Perm Root’ and click ‘Run’. Check if your HTC One M8 is rooted correctly using our app “How to ROOT”.